A smooth matte plaster finish with natural moderate mottling. Looking for interior paint ideas or a faux wall finish? 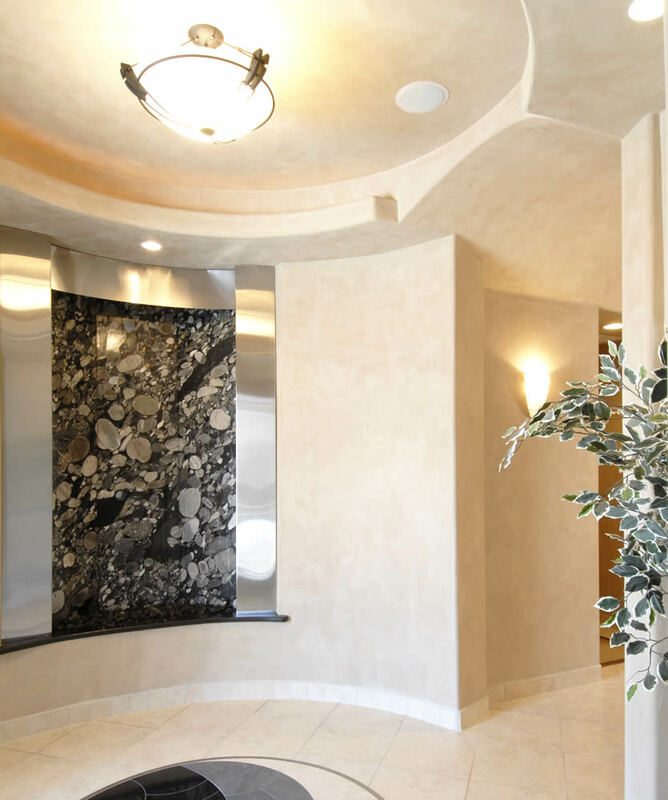 With Claro™ you can achieve a breathtaking mottled plaster finish. 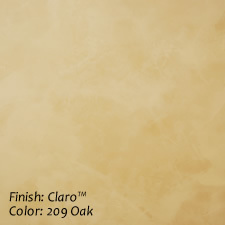 The smooth matte finish of Claro™ creates the beautiful look of traditional interior plaster with natural color variation. A tinted basecoat of Alto™ or Solido™ is applied to a smooth substrate and let dry. A thin coat of Claro™ is then applied with a Venetian trowel using random decorative trowel strokes. After completely dry, Claro™ may be sealed to increase scratch and stain resistance. Claro™ is easily cleaned or patched when scuffs and dings do occur. Claro™ may be used for either interior or exterior applications over properly prepared substrates, including new or properly prepared existing drywall. Colors: Claro™ is available in the 24 standard Variance colors or may be custom colored upon request.